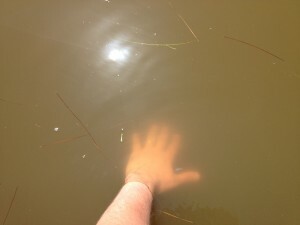 A recently available in press research publication authored by NCCOS-supportedStony Brook University Professor Dr. Chris Gobler confirms the novel brown tide bloom that occurred in 2012 in the Indian River Lagoon system along the east coast of Florida was caused by the algal species Aureoumbra lagunensis. The in press article provides results from a NCCOS funded HAB response project led by Dr. Gobler to document the first-ever occurrence of a bloom of A. lagunensis bloom in Florida, consider possible causes, and determine environmental and ecological impacts. Dr. Gobler also developed a new rapid, quantifiable genetic detection method for A. lagunensis. Previously such blooms had only occurred in the Texas estuaries of Laguna Madre and Baffin Bay where they persisted for decades and caused major disruption. Among the potential ecological impacts reported, juvenile northern hard clams (a.k.a. quahog) and eastern oysters filtered brown tide bloom water at lower rates than usual and juveniles that settled out to grow were significantly smaller than prior years. Both cultured and wild populations of these shellfish species suffered mass die offs during the 2012 bloom. The decline of the bloom was linked to near hypoxic conditions and an unusually high number of fish kills. The study discusses the potential for further expansion of the range of A. lagunensis blooms in Florida and Georgia and for the likely re-occurrence of blooms once established in an estuary. In line with these findings, Dr. Gobler and Florida officials began tracking the return of brown tide to the Indian River Lagoon system in May of 2013. 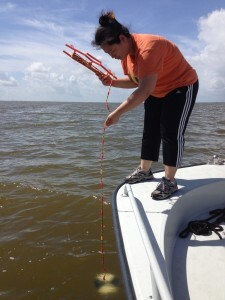 This publication and study was supported by NCCOS Harmful Algal Bloom Event Response Program.